Wargaming is excited to announce that The Grand Finals 2015 is almost here! This weekend, the global elite of eSports will travel to Warsaw to battle it out for a slice of $300,000 and the chance to be crowned champion of the Wargaming.net League. The Grand Finals will take place at EXPO XXI from April 25-26. On Day 1, doors open Saturday at 11:30 and the official opening ceremony will be at 11:45. All the action on Day 2 will begin at 11:00, with the matches kicking off at 12:00. To celebrate Grand Finals, Wargaming will roll out a brand-new AMX 13 57. The AMX 13 57 is a Tier 7 French medium tank. It’s a swift shooter, great credit maker and comes with a unique Wargaming.net League paint job. Check out this exclusive vehicle by watching the video and find out how you can snag it on thegrandfinals.com. As well as watching the 12 teams going head-to-head, there will be loads more entertainment. 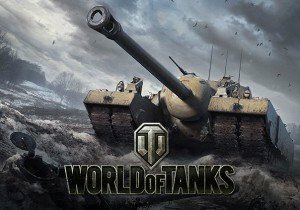 Wargaming will have two tanks outside the venue: a T34/85 and the M4AI Sherman for people to snap pictures and learn about their history. Attendees can get their hands on some Wargaming swag and other cool items from event partners and official giveaways. There’s in-game Gold and items to great hardware from GIGABYTE, HyperX and Razer peripherals! People can also win amazing clothing and accessories from J!nx and Musterbrand. The MGT-20, Wargaming’s official military gaming truck will be rolling into the arena. It’s outfitted with 14 PCs and attendees can sign up for 7vs7 tournaments during breaks to test their skills. Sponsors will also have their own areas. At the Red Bull stand, players can try their hand at World of Tanks Blitz on iPad with multiple fun setups. Musterbrand will be showing off their World of Tanks clothing line with exclusive offers available. The paysafecard area will host quizzes letting visitors test their knowledge of World of Tanks and military warfare. Admission for Grand Finals is free to everyone, no tickets or pre-registration required. 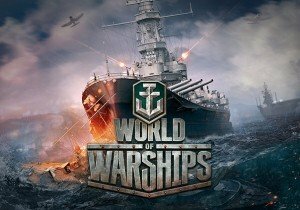 All matches will be live streamed from the official Wargaming.net League channel on Twitch.tv in English, Russian and Polish.